Our first title of 2017 is Michel Déon’s moving tribute to his life in Ireland, ‘Horseman, Pass By!’ Déon was a novelist and distinguished member of Academie Francaise, best known as the author of The Purple Taxi, which became a film in 1977 starring Fred Astaire. Déon passed away in December, after, so the story goes, awakening for just long enough to hold the first copy of the book in his hands. These reflective essays about Déon’s life and experiences in the west of Ireland describe the colourful and varied personalities that he came across since moving to Galway in the mid-1970s with his wife and two children. 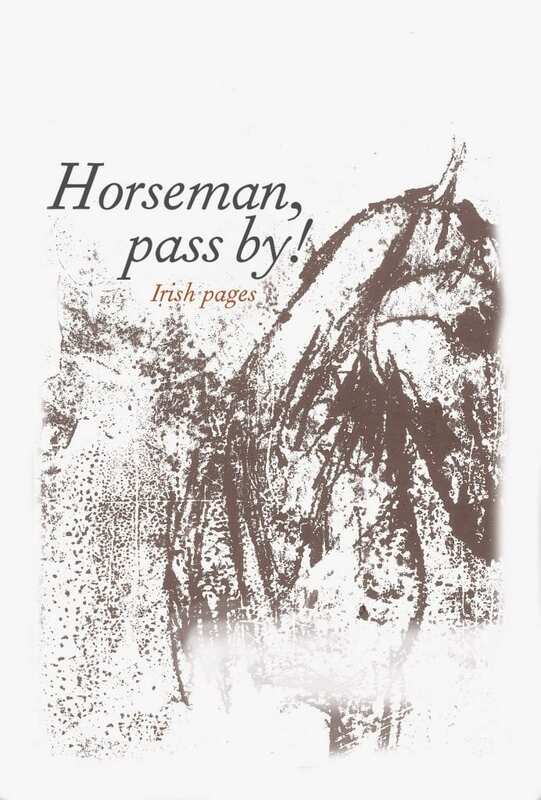 From his friendship with John McGahern and Ulick O’Connor to Tim, the sturdy old postman who prefers his wind-blown country round to retirement in sunny California, Horseman, Pass By! is peopled with fascinating characters and encounters. Taking its title from Yeats, this work is an affectionate portrait of the Irish and a lament for a fading country that has been changed by new wealth and altered values. Déon’s Horseman, Pass By! is an elegant memoir about a beautiful landscape and its inhabitants and forms a touching and amusing tribute to his adopted country. Horseman Pass By! was originally published by Gallimard in 2005 and is now available for the first time in English.